Microduct is small High Density Polyethylene (HDPE) pipe, which may be in the form of individual pipe or as bundled pipes, and functions as optical fiber micro cable protection in underground application. 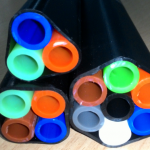 HDPE Microduct has the ultra violet (UV) resistant property, non-corrosive and non-conductive with smooth wall to easy micro cable installation. 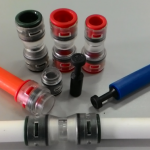 The bundled microducts such as 2-way, 3-way, 4-way, 7-way or other configurations can be deployed at severe conditions such as manual digging, manual boring & pulling techniques or sand-less trench installation. CCSI microduct is designed to be strong, flexible, lightweight, durable, non-toxic, easy to install and smooth at the inner and outer layers with uniform thickness and easy of jointing. 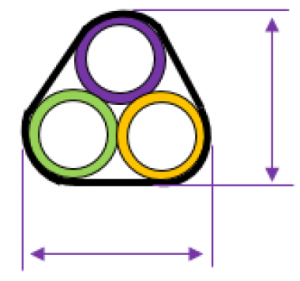 CCSI microduct is for direct underground buried installation or to be pulled into existing duct or conduit, for aerial installation between poles using lashing method and ideal for cable jetting, air blown and even with manual pulling installation. 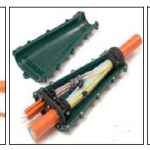 Low initial installation cost, for example 7-way Microduct can be inserted with one micro cable first and then additional cables can be pulled without the need to do digging and install other HDPE ducts for the future expansion. Easy to install by inserting to existing duct or occupied duct. 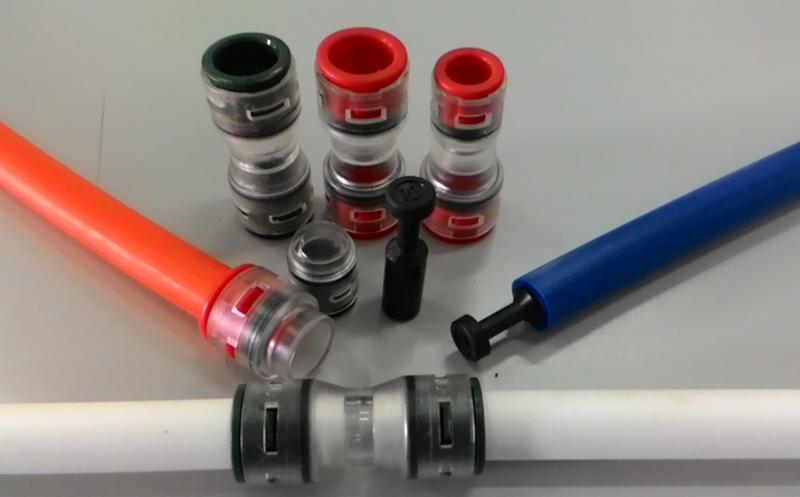 *Available in wide size configuration bundled range 8.0 up to 18.0mm outside diameter, microduct accessories and special delivery length upon request. Please contact our marketing for further information. All components of this microduct are made based on High Density Polyethylene with UV (Ultra Violet) resistant extrusion material, corrosion free and non-conductive. 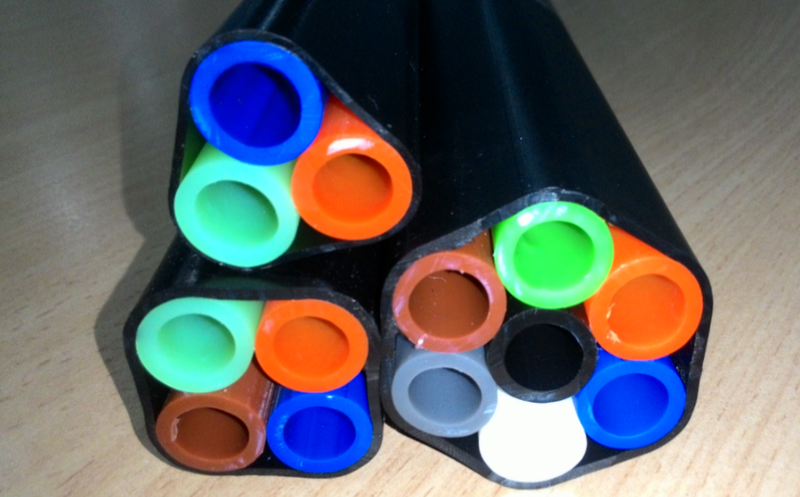 HDPE microduct has low coefficient friction which will provide an effective fiber optic cable installation time and cost. 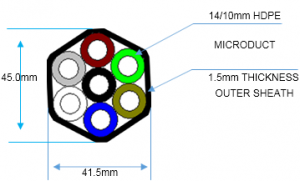 This microduct bundle concept is an advance step towards better and more reliable cable network, economical and provides several cable ducts for multi telecom operator usage with only one time installation. CCSI microduct 3-way 14/10mm is bundled to obtain flexibility, lightweight, durable, easy to install and smooth in inner and outer layer with uniform thickness and color distinguishable UV resistant HDPE material. 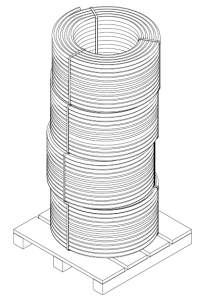 Cross-sectional drawing (Not to scale) figure 1. The CCSI Microduct is continuously marking and identified along the length with contrast color printing with print interval of 1(one) meter, containing of CCSI manufacture name, year of manufacturing, product type and size, traceability code and printing length of product. Both microduct ends is sealed to keep the inner microduct clean and free from dust or any foreign objects. 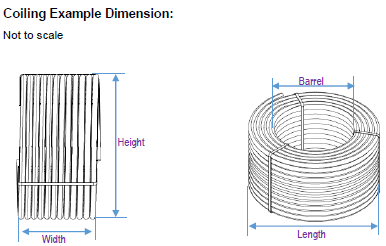 CCSI microduct is packed by coiling or winding in the wooden drum with delivery length 200 meter. Each coil or drum is labelled for identification. 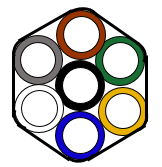 The coiling microduct shall be tight wrapping and the dimension packaging should be in table 3. CCSI microduct 4-way 14/10mm is bundled to obtain flexibility, lightweight, durable, easy to install and smooth in inner and outer layer with uniform thickness and color distinguishable UV resistant HDPE material. CCSI microduct 7-way 12/10mm is bundled to obtain flexibility, lightweight, durable, easy to install and smooth in inner and outer layer with uniform thickness and color distinguishable UV resistant HDPE material. 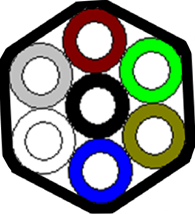 The HDPE microduct is coiled, tightly wrapped and properly labelled. 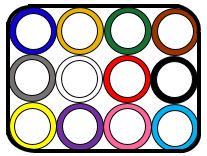 The coil size refer to table 3. CCSI microduct 7-way 14/10mm is bundled to obtain flexibility, lightweight, durable, easy to install and smooth in inner and outer layer with uniform thickness and color distinguishable UV resistant HDPE material. 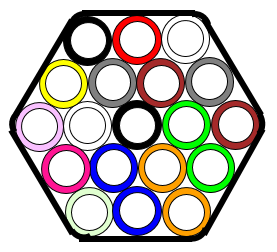 The HDPE microduct coil shall be tight wrapping and The dimension packaging should be in table 3.